Last week I attended the Develop conference in Brighton to represent Creative England. It was my first time at Develop, and Brighton, and I was quite excited at the chance to meet developers, hear what they had to say and generally submerge myself into the highfalutin world of Game events. After travelling down from Manchester the night before, I woke feeling excited and ready to attend the conference held just down the road, although this feeling was slightly quashed after going through the wrong door and having to walk fully clothed through the sauna, pool and gym at the hotel I was staying at. Regardless, I got to Hilton Brighton Metropole at a decent time and looked around the expo floor. The room held a good amount of stands, with representatives from games companies, charities, universities and the rest all in place. I thought there was a good spread of developers and non-developers, I’m interested in the interplay other organisations and roles outside of development complement the creation of games. There was so much to see and do I didn’t have time to talk to everyone, but the conversations I did have were insightful and it was a pleasure to meet people so passionate about their projects, even if they were hungover. 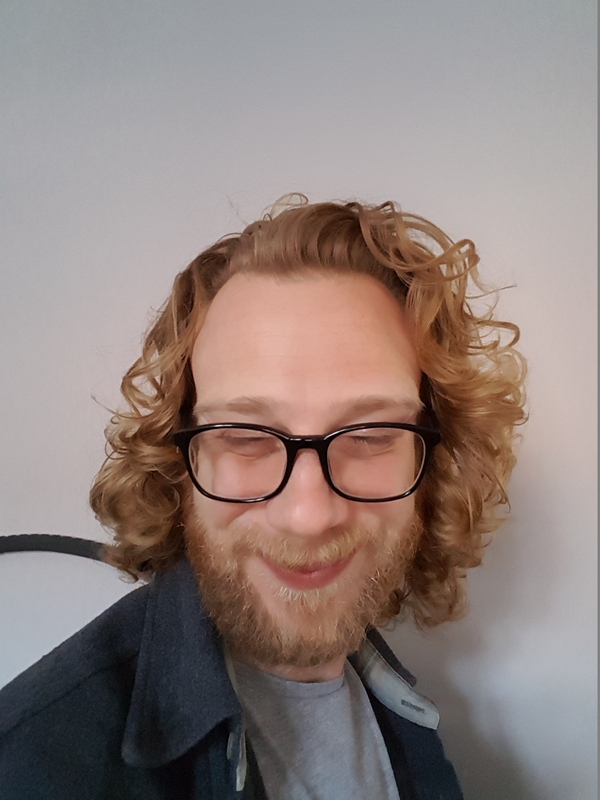 I attended several seminars and discussions by people from the industry, including one on VR/AR/MR/XR by Simon Barratt, Gameslab Leeds beneficiary and general good guy! Others included a talk on Moore’s Law by Boyd Multerer and how different programming languages suit different hardware, a discussion lead by Ken Perlin on how people interact socially whilst using VR, and an insightful interview with Tetsuya Mizuguchi, the developer of Sega Rally and Rez, on his view of the crossover between music and games. I also attended a very interesting seminar about the games industry in the UK and the potential for a British Games Institute being formed. This was quite exciting for me as the Games team have been researching the best way Creative England can help game developers in England, so it was nice to hear that other organisations are thinking along similar lines. Besides the expo and the seminars, it was great to meet people. Some I had met before, though there were a lot I hadn’t. I had some very interesting discussions about the culture of game development, games as art and the obstacles preventing developers from reaching their full potential. The hotel I was staying at also happened to be where one of the after-party’s was, so I was lucky enough to play (and lose) several games with game devs before crawling off to bed. If you had attended the event but didn’t get chance to talk to me, please get in touch! I love to hear from anyone in the community, and all the conversations I have better inform future projects and programmes. If you haven’t had chance to attend a big gaming event before, I’d say they are definitely worth going to in order to meet new people and expand your knowledge. I’d like to thank Creative England for sending me, but I’d also like to thank everyone attending the conference, otherwise I’d have just been walking around empty rooms in a hotel for two days, but also for reminding me of all the goodness within games themselves. I am looking forward to the latter half of the year as Creative England have some interesting projects coming up soon, so please follow us on social media and so on to keep up to date.